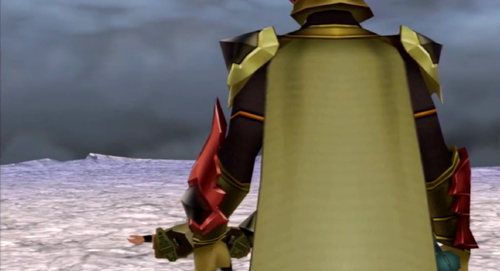 In the original Kingdom Hearts Birth by Sleep and Birth by Sleep Final Mix, cutscenes didn’t include capes on the armor. During production, the original plan was to include capes, but the team encountered difficulties while developing the PlayStation Portable title. During the E3 Expo 2014 event, co director, Tai Yasue, announced that the capes wouldn’t be added to Kingdom Hearts HD 2.5 Remix, due to time restrictions. Kingdom Hearts HD 2.5 Remix released in Japan on October 2nd. The title includes a cape on Terra’s armor at the end of Kingdom Hearts Birth by Sleep Final Mix, despite Tai Yasue’s statement at E3 2014. HD 2.5 ReMIX Collector's Edition Announced!